OPI Nail Polish, Pineapples Have Peelings Too!, NLH76, .50 fl. oz. 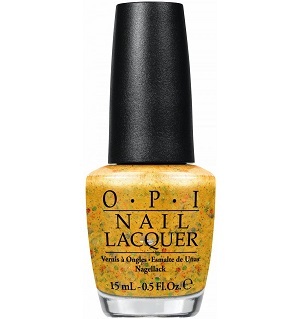 Yellow gold frosted shimmer nail color mixed with multi-colored glitter of various sizes.